Every person should have right nutrition. No matter if person wants to lose weight or not, it is important to know the main rules of a good diet. 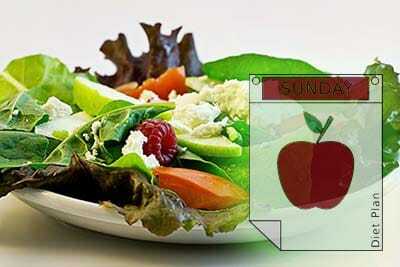 Lunar calendar helps to understand the key regularities of the right diet healthful for people. Why do we use moon phases calendar for developing nutrition system? The answer is simple: every phase of the moon does different impact on human body. So, the changes in diet have to be appropriate. As well it is known that any diet is usually a stress for organism. 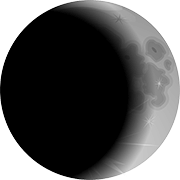 Knowledge about changes in moon phases helps to minimize the stress. There are some recommendations regarding diet with the help of moon phases calendar. 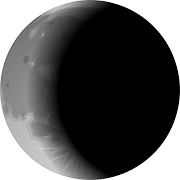 As well you may use VeBest Moon Phase, software program, to assist you in your moon diet. You may install it to Android and iPhone devices. Our web-site also offers you help with the moon diet on-line. The easiest period for the diet is the period after the full moon. Why? Because the waning moon period (decreasing of the moon) follows the full moon phase. Every day observers can see less and less of moonlight after the full moon. Its impact on human body goes down with the narrowing of the visible edge size. In such way, the full moon is the best "starting line" for the diet. The moon will play into your hand at this period. The first necessary procedure of the moon diet is the fasting practice. At the time of full moon it is prohibited to eat solid food, but the body will get all necessary nutrition with juices, natural fruit-drinks and stewed fruit. Drinking of big volume of water is recommended as well. In such way you will give your body a rest of solid food. The organism will have time to prepare to continuous diet. During the life our body gets foods, water, oxygen, and, unfortunately, toxins appear in our organism as well. The waning moon has some "cleaning" effect. This is the period for detoxication, which is required not just for weight loss, but for clean skin and wellness. It is important to drink enough volume of pure water. The average daily norm of drinking water is about 2 liters. Water improves the functioning of many organs (kidneys, intestines, lymphocytic system and so on) and the organism in common. Don't think that all liquids work the same. We are talking exactly of pure water. So, the waning moon phase is a great possibility for purification of the body. Soup, fresh vegetables. Soup is good for digestive system, especially for functioning of intestines and stomach. Vegetables will bring vitamins to your body. Add water to this set of products. Try to eat by little portions. Fresh fruits. It is better if you eat fruits which grow in the region you live because it is more natural for your body. Divide all the chosen set of fruits into several parts. Try not to eat all together. Your body will get vitamins and healthy elements with fruits. For example, an apple is rich on iron, magnesium, natrium; cherries contain copper, iron, phosphorus, iodine and so on. Every kind of fruit is good for health. Continue to drink water. Pumpkin Puree + diet yoghurt / mashed potatoes. You may choose one of these menus. Pumpkin, yoghurt and potatoes are good for digestive system functioning. Try to divide your meal into two parts. Don't eat all together. Water and fruit drinks are good here too. Salads, boiled vegetables. The situation with vegetables and salads is the same as with fruits. They are rich in vitamins and minerals. In addition, all salads contain folic acid which takes part in numerous processes of the organism. You may add 1 spoon of olive oil into your salad. Of cause, it is easy to eat fresh vegetables in summer time, but in winter time you can change them into boiled vegetables. Drinking of water is still necessarily. Jelly fruits. Of cause, fruits or fruit juices contain, as it was already said, many vitamins. But jelly has its useful function too. It has beneficial effect for intestines and joints. Again, it is healthier to divide your portion into several parts. Continue to drink water. The new moon influence is much stronger than the full moon influence. The new moon phase is a very favorable period for the loss of several kilograms. After purification of the body you are ready for the next step. Follow the recommendations below. It is necessary to spend the 26 h period of the new moon without food. The main thing is to drink about two liters of water at this time because the new moon has a great sturdy purification effect on our body. Water consumption enhances the new moon effect. Besides water you may drink other natural drinks, which will give the nutrients to your body. - don't eat dishes, which contain sugar (sweet fruits are permissible). If these rules become your habits, there will not be problem for you to follow the diet. The biggest difficulty is to start. All these recommendations help to lose weight, to become slim and feel healthy. The most important thing is that you do it naturally. The Earth, the Sun and the Moon advice you how to do it!